Note: While Apple has removed the macOS Sierra installer from the Mac App Store. El Capitan, Yosemite and earlier versions are still available to download in the Purchased tab. If you don’t already have a bootable installer of Sierra, you’ll have to downgrade to El Capitan or earlier. Apple’s strategy of making macOS upgrades free to download from the App Store means that many of us install a new version as soon as it’s available. Most of the time, that’s not a problem, but occasionally it can cause problems. Many of the bugs in a new OS version only become apparent after release, despite months of public beta testing. And it can take several weeks for them to be fixed. Add to that the fact that older versions of many apps simply stop working when the OS is upgraded, and others start having problems, and there are several reasons you might want to downgrade to an earlier version from macOS High Sierra. Here’s how to do it. As with any major change you make to your Mac, you should always back it up before you upgrade the OS. The easiest way to do this is to use Apple’s Time Machine to back up to an external disk, either directly connected to your Mac or on a network – if you’re running macOS Sierra, that network disk can be SMB; earlier versions of macOS only support AFP. As a bonus, the easiest way to downgrade from a new version of macOS is to restore from a Time Machine backup. 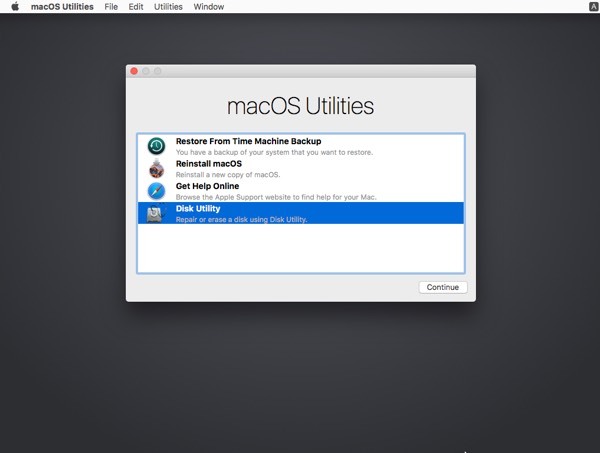 If you don’t want to use Time Machine, Get BackUp Pro, available in Setapp, can clone your Mac’s startup drive, protecting you if something goes wrong. Disk Drill, also in Setapp, can make a disk image of your drive – making a byte-by-byte copy. And you can also use ChronoSync Express, again, in Setapp, to back up your data. In addition to making a backup or a clone of your startup drive before you upgrade, you should backup any files and documents you’ve worked on since you upgraded, before you downgrade. That backup could be via Time Machine, or to an external drive (not the same one you used for the first backup) using Get Backup Pro, or to a cloud storage service, if there are only a few files. 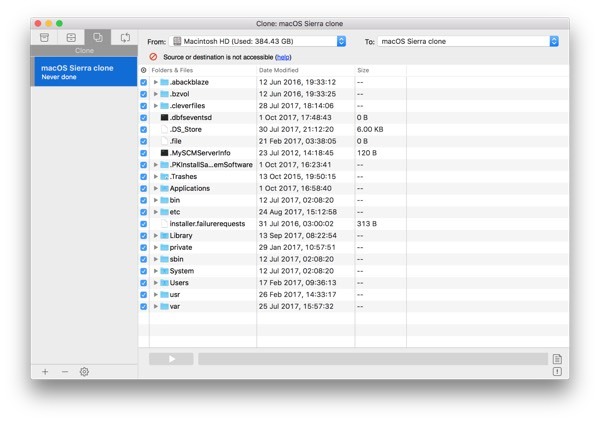 Dropshare, also available in Setapp, makes it easy to mount cloud storage services on your Mac’s desktop so you can drag files to them. If you use Apple’s Photos app and don’t use iCloud Photo Library, make sure you manually export any photos you’ve imported or worked on since you upgraded to a separate drive. Bottom line: you’re about to wipe your Mac’s startup drive, backup anything you want to keep. Make sure you take a note of licence codes, serial numbers and settings for the applications you use – you’ll have to re-install them later. Bonus: because Setapp apps are linked to to your subscription, you don’t need to worry about serial numbers, you can just log in to Setapp after you’ve downgraded and re-download your apps. If you use Dropbox, Google Drive or another cloud service that syncs automatically with a folder on your Mac, make sure it synchronises just before you start the downgrade. Choose the last backup before you upgraded to macOS High Sierra. Wait for your Mac to restart. When your Mac has restarted, to recover files you created or worked on in High Sierra, click on Time Machine in the Finder menu bar and choose Enter the Time Machine. 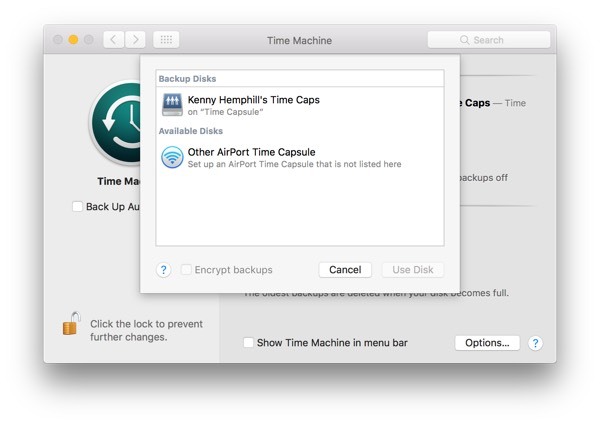 Navigate to the most recent backup and to the files and folders you want to restore and use Time Machine to retrieve them. If you used GetBackup Pro or another backup tool to backup your High Sierra disk, use its restore facility to retrieve files. Manually copy any other files from cloud storage or an external disk. Re-install applications from Mac App Store, the vendor’s website or Setapp. To get apps from Setapp, download the Setapp desktop app and sign into your account. Then install other apps from there. If you have a bootable installer, say on a USB stick, of the version of macOS you want to revert to, you can use that to downgrade from High Sierra. If you don’t have a bootable installer, you can make one by following the instructions from our guide on how to create a bootable macOS installer. As mentioned above, Apple no longer hosts macOS Sierra in the Purchased section of the App Store, so if you don’t already have an installer for that, you won’t be able to make one now. The good news is, El Capitan are still there. To download it, your Mac must be using macOS High Sierra or earlier. So you can make bootable installers for El Capitan and downgrade to that version. Once you’ve made your bootable install disk, here’s what to do. Choose Mac OS Extended from the Format menu, then give the disk a name. Click Erase. Re-install the backup tool you used to backup your Mac before you upgraded to High Sierra and then use that to restore data from that backup. If you’d rather start again with a clean install, manually copy the files and documents you need back to your Mac and re-install your apps one by one, starting with Setapp and those apps you downloaded from the Mac App Store.